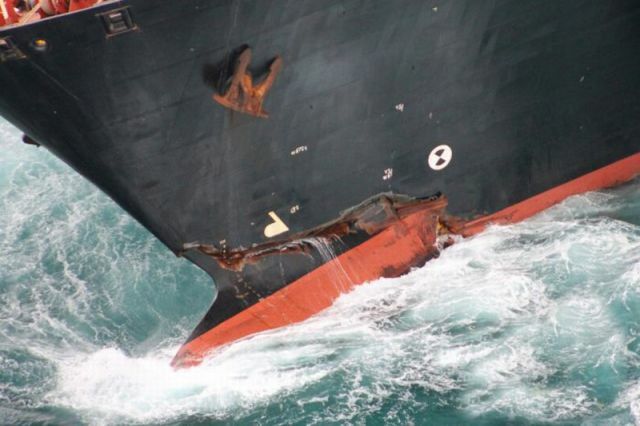 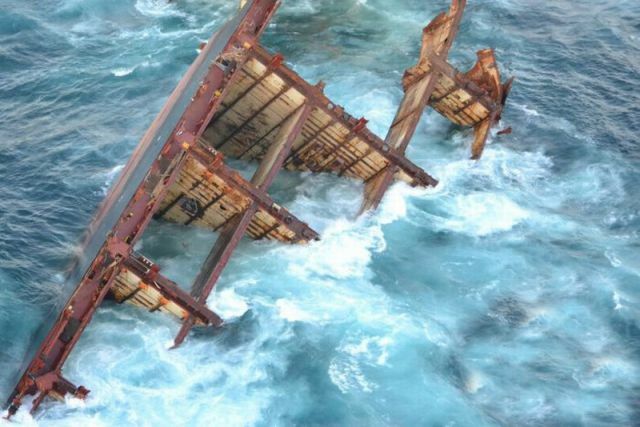 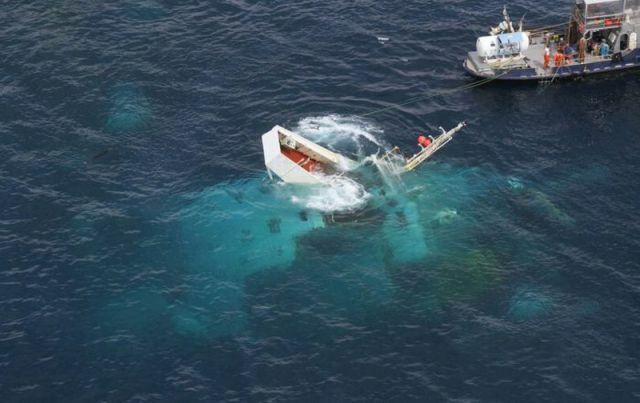 Just 3 months after this ship was grounded on a reef off the east coast of New Zealand’s North Island and about 350 tons of fuel-oil leaked into the sea, it decided to end its life. 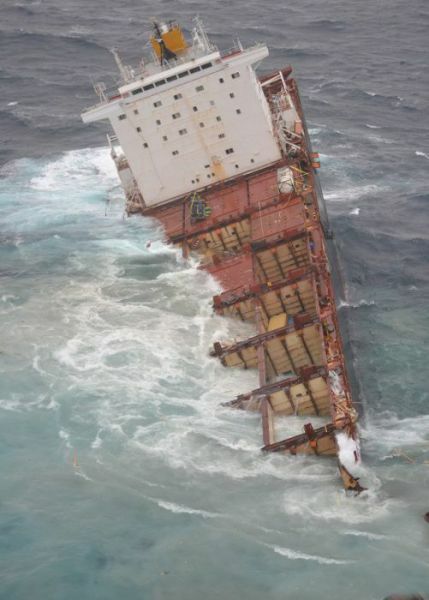 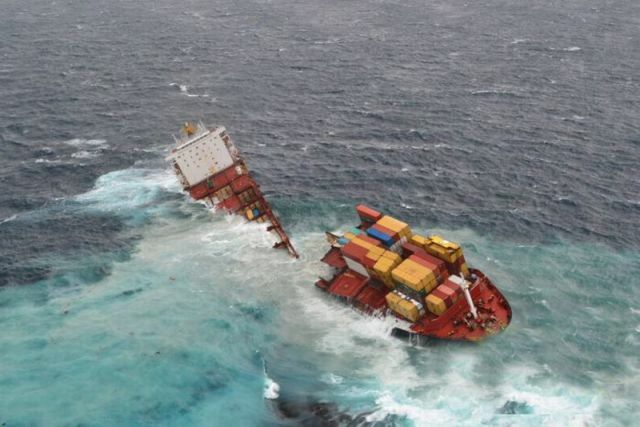 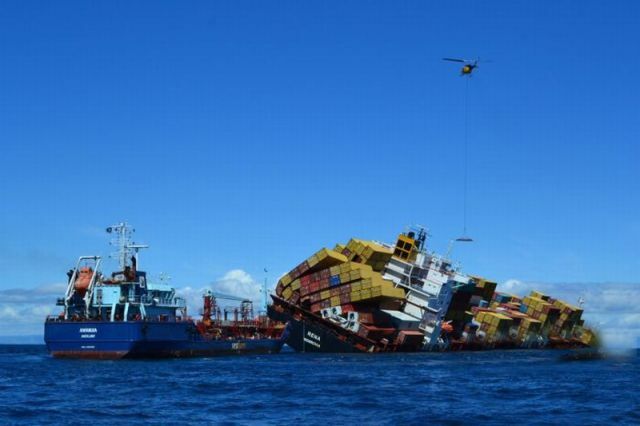 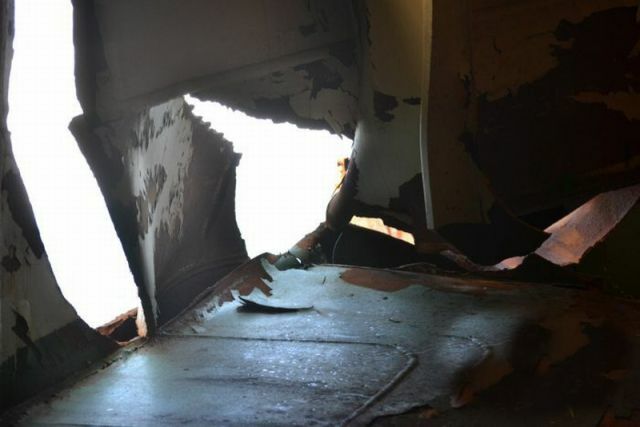 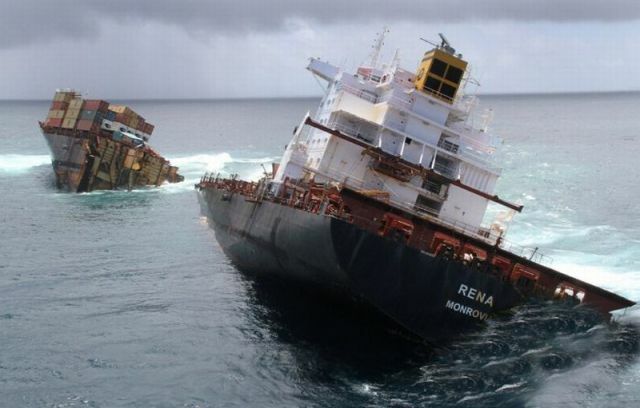 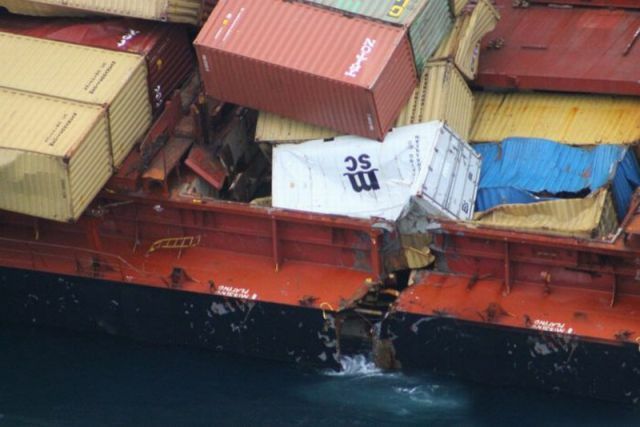 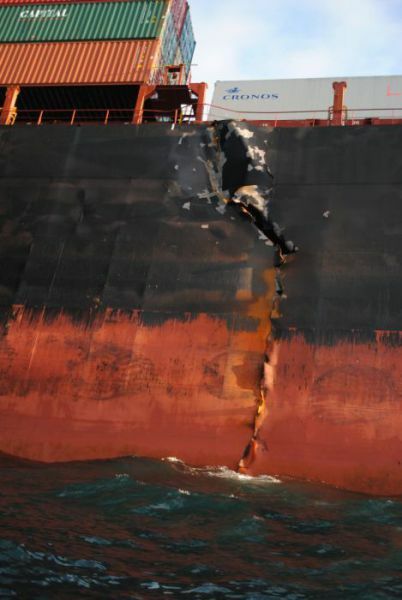 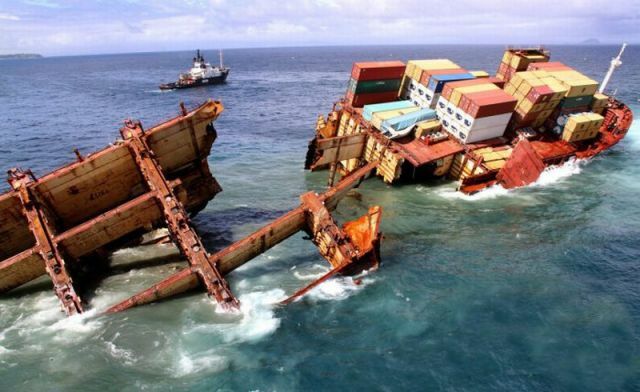 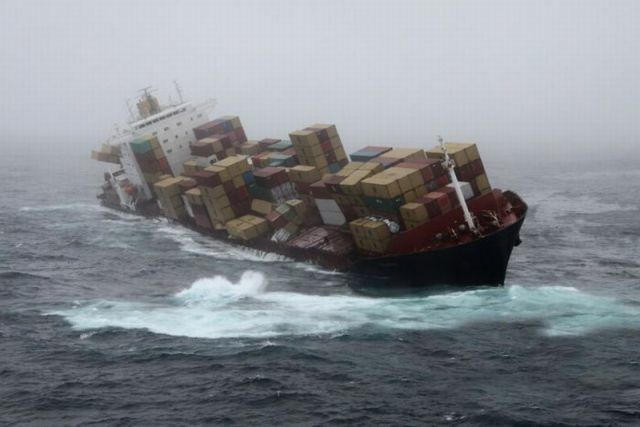 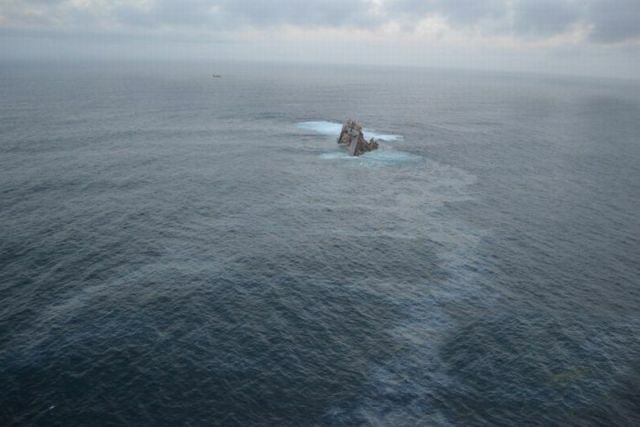 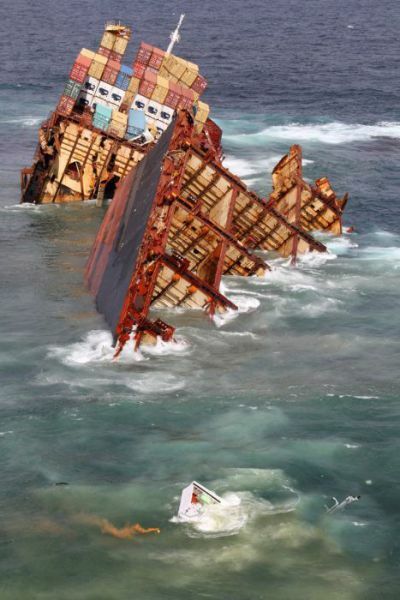 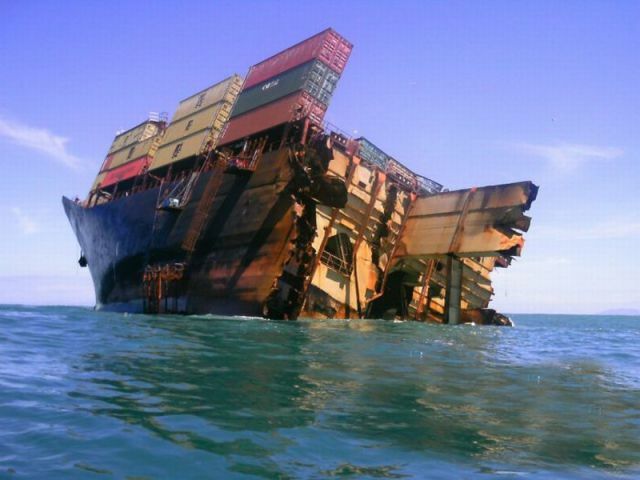 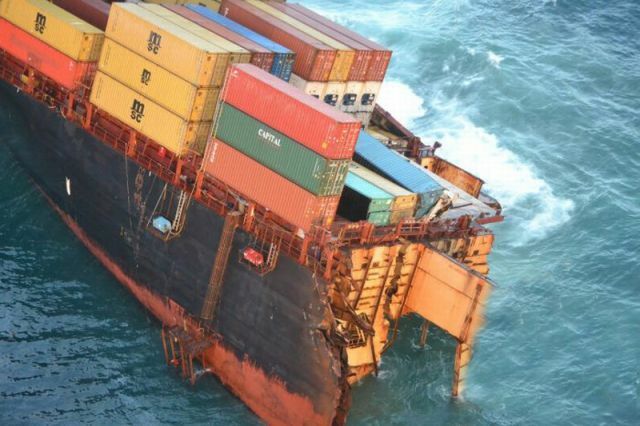 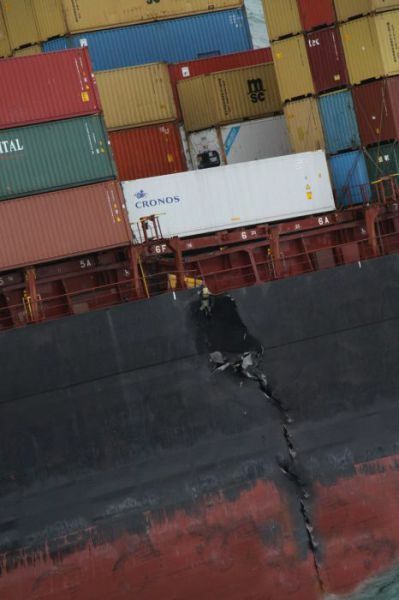 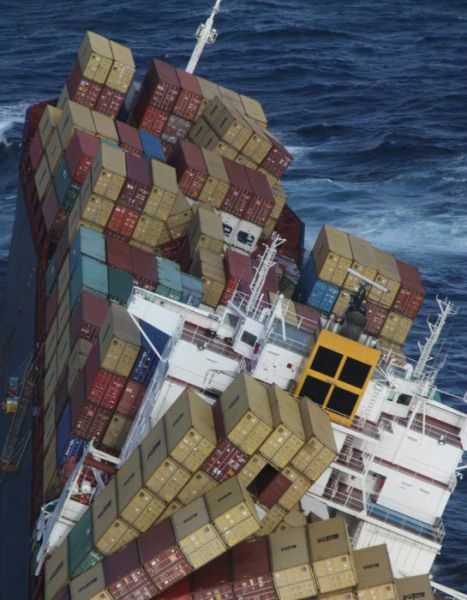 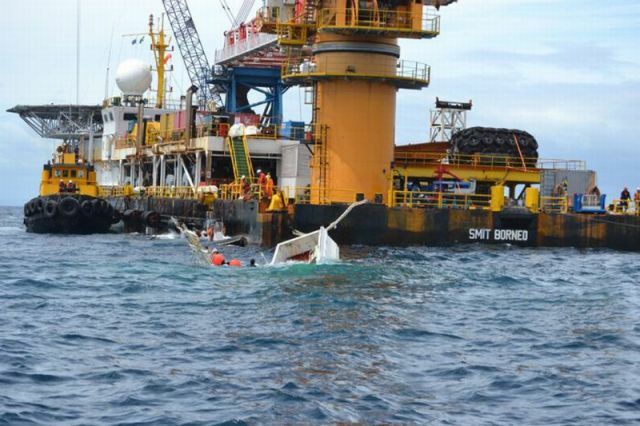 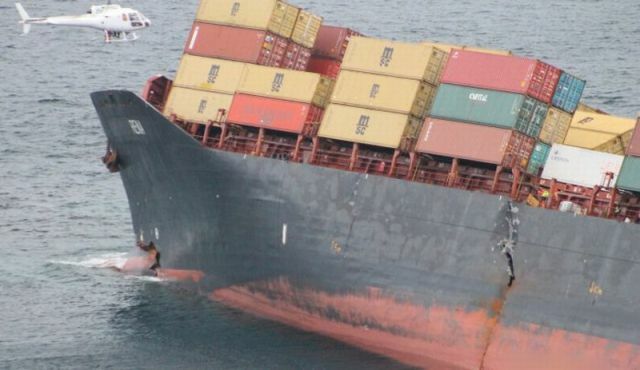 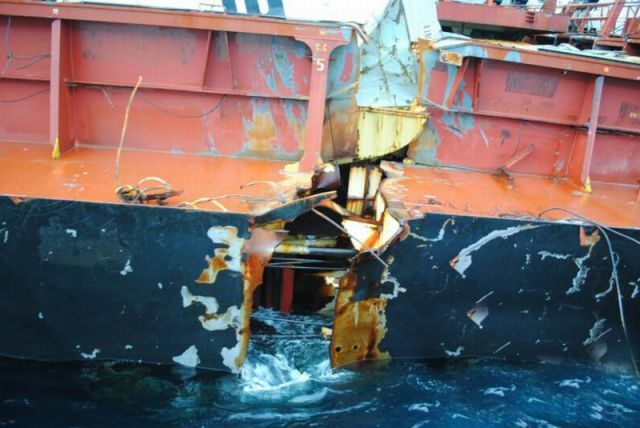 Container ship Rena broke into two and sank. 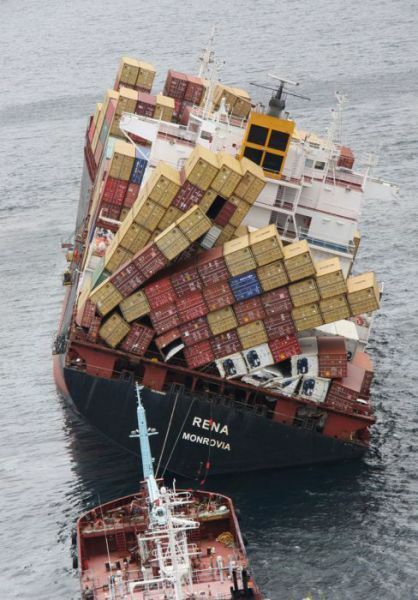 Damn, it actually just broke in two !! 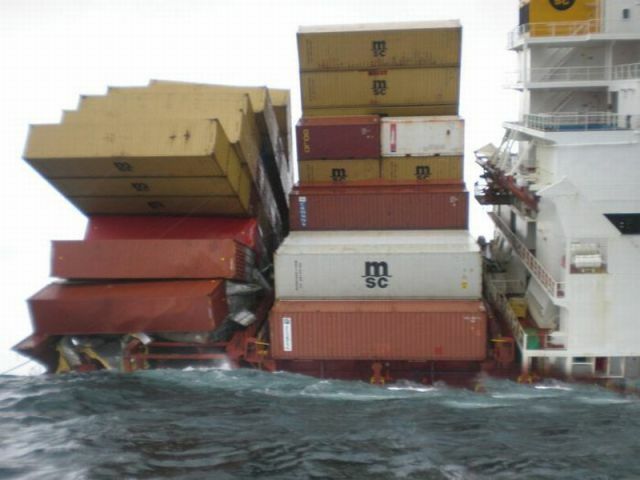 Dont see that too often ! 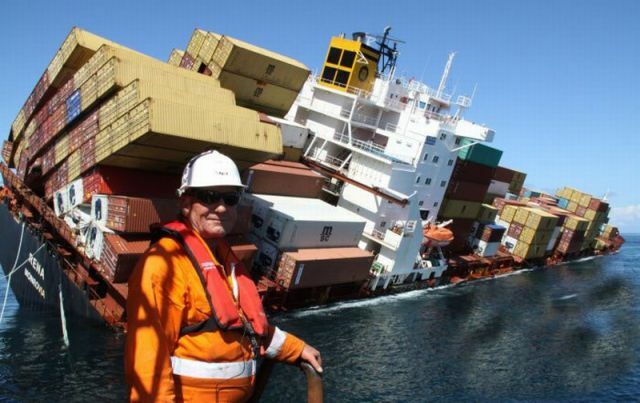 No, they aren't allowed to keep anything from the containers, in New Zealand it's still classed as stealing. 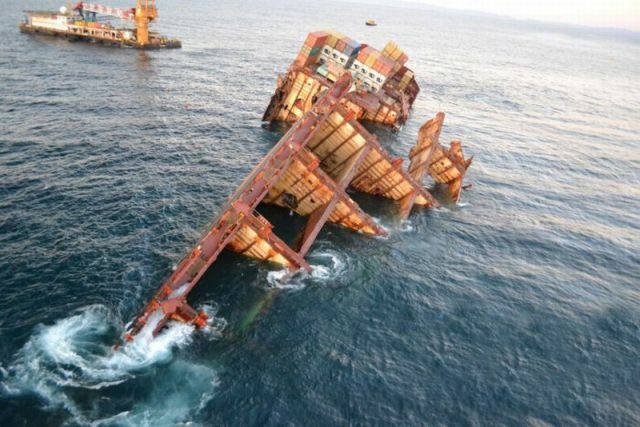 They closed off a beach when containers washed up to stop this.